Hendricks County is breaking the shackles of winter and sprinting toward spring, which means that the opportunities for enjoyable outdoors activities are about to increase exponentially. One of my family&apos;s favorite ways to enjoy the outdoors -- especially as winter fades into a memory -- is to visit any of the Hendricks County Parks and Recreation facilities: McCloud Nature Park, Sodalis Nature Park and the Vandalia Trail. McCloud Nature Park, just outside of North Salem, is wasting no time ringing in the vernal equinox, hosting its Spring Celebration on Saturday, March 21 from 2 to 4 p.m.
Bring the entire family out to the park and enjoy hiking and outdoor games, plus knock the rust off of your green thumb by planting some herbs in the park&apos;s greenhouse. At 3 p.m., naturalists will torch a wicker snowman symbolizing Old Man Winter, creating a perfect set of coals for some s&apos;mores! On Saturday, March 28 from 11 a.m. to 3 p.m., bring the kids back out to McCloud Nature Park for Eggstravaganza -- a non-traditional Easter egg hunt. Camouflaged eggs are hidden along two different trails and contain clues inside them. Each clue answers a question on a worksheet. 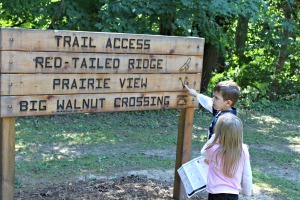 Complete the worksheet and turn it in to the Nature Center to win a prize! On April 11, choose one of two different locations (or both, if you&apos;re energetic!) to explore the various blooming wildflowers in the area. At 11 a.m., visit Sodalis Nature Park outside of Plainfield to walk with park naturalists who will point out species such as Dutchman&apos;s Breeches, Spiderwort and Red Trillium. At 2 p.m., Norma Wallman will lead a hike through McCloud Nature Park and offer her expertise on the wildflowers of that park. Norma is the author of Wildflowers of Holliday Park. Gardeners won&apos;t want to miss this event at McCloud Nature Park on April 18 from 9 a.m. to 4 p.m.
More than 1,000 native plants will be sold for just $4 a piece. Park naturalists will be there to explain the color, bloom timeframe, best planting environment, and the benefits of putting native plants in your gardens at home. If you have a child in Boy Scouts or Girl Scouts -- or any variation of those programs -- you&apos;ll be interested to learn that Hendricks County Parks and Recreation has changed up their Scouting programs. Instead of focusing on one Scouting badge in particular, they&apos;re offering programs that a variety of Scouts of both genders will find helpful. Additionally, all attendees earn a special McCloud Nature Challenge Badge! On March 15, Sodalis Nature Park is hosting a Conservation program that will benefit Daisies, Juniors, Tigers, Wolves and Webelos. On April 12, McCloud Nature Park hosts a Fun and Games program that will work toward earning badges in Brownies, Wolves and Bears. The Scouting programs are $10 per child, and registration is required. For more detailed information about the Scouting programs offered at Hendricks County Parks, click here. Aside from the scouting programs, the other events listed in this blog post are free to attend and do not require registration. However, some programs through Hendricks County Parks and Recreation do require registration, and that&apos;s where park-goers will enjoy the new online registration system. Gone are the days of calling the parks office to reserve your spot at an event. Instead, simply log on to HendricksCountyParks.org to access their online registration. In fact, just bookmark that website because you&apos;ll want to check it frequently. The programs and events listed here are just a small sampling of everything that is offered through Hendricks County Parks and Recreation. On that website, you&apos;ll find their events calendar, you can sign up for Tree Mail so that you don&apos;t miss a thing, you can locate every single park there is in Hendricks County (there&apos;s a bunch! ), you can read about all of the programs offered, and much more. 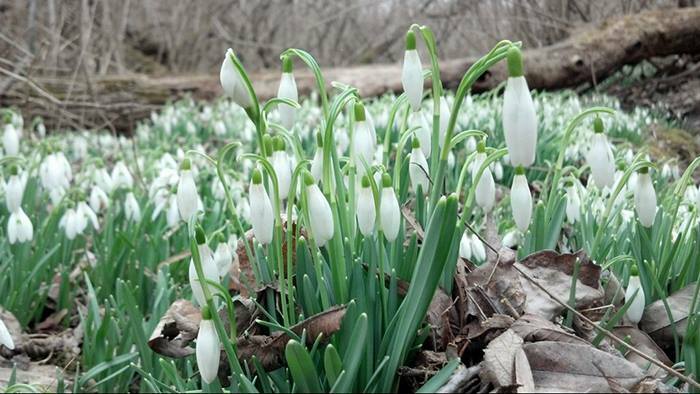 Bid Old Man Winter farewell and embrace spring through Hendricks County Parks and Recreation!